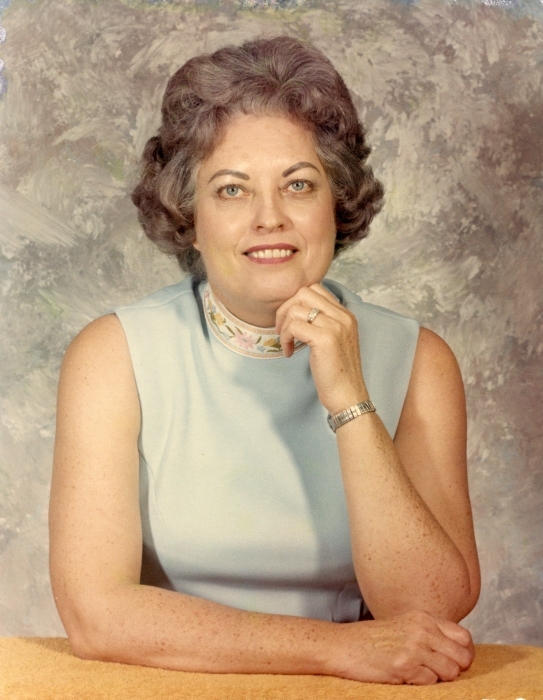 Ruth Williams Barnes (Mamaw), age 97, of Franklin, North Carolina formerly of Clayton, GA passed away April 11, 2019 at Macon Valley Nursing and Rehabilitation Center. She was born September 12, 1921 in Dillard, Georgia. She was the daughter of the late Raleigh and Mary Daly Williams. She was also preceded in death by her husband, of 61years Roy Henry Barnes, one son, Bobby Barnes, three sisters, Margaret Allen, Ruby Hamby, Mildred Collier, and one brother, Edward Williams. She worked for Dr. Richard Turner for over 50 years. She enjoyed traveling with friends and family. She was always smiling and never met a stranger. She is survived by her Grandchildren, Renee Moorhead (Rick) of Clarksville Ga, Dan Barnes (Samantha) of Gainesville, GA, Kelly Barnes of Clayton, Ga, and Great Grandchildren, Deven Snow, and Augustus Roy Barnes. The family will receive friends Saturday April 13, 2019 from 1:00pm until 2:00pm at Head of Tennessee Baptist Church. Funeral services will follow at 2:00pm Saturday April 13, 2019 at Head of Tennessee Baptist Church with Rev. Brandon Breedlove officiating. Interment will follow in the Church Cemetery. The family asks that donations be made to Holly Springs Baptist Church 366 Holly Spring Church Road Franklin, NC 28734 in Memory of Mrs. Ruth Williams Barnes.